Hi everyone! It's been a while since I posted an update. I've been busy out and about so there wasn't much of a convenient time to express my undying excitement about Dubai and Abu Dhabi. 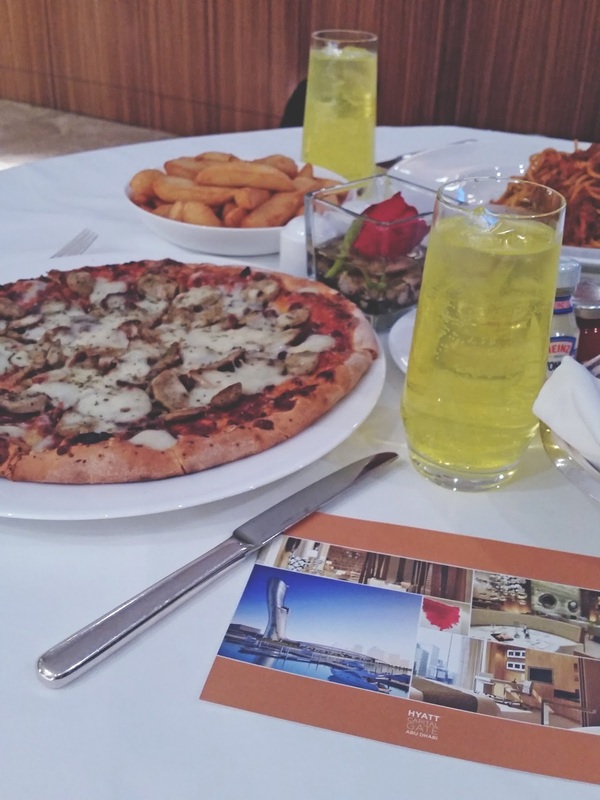 I know I promised some of you about the it place to stay in Abu Dhabi and I thank you friends so much for sticking by! After all, sharing is caring! 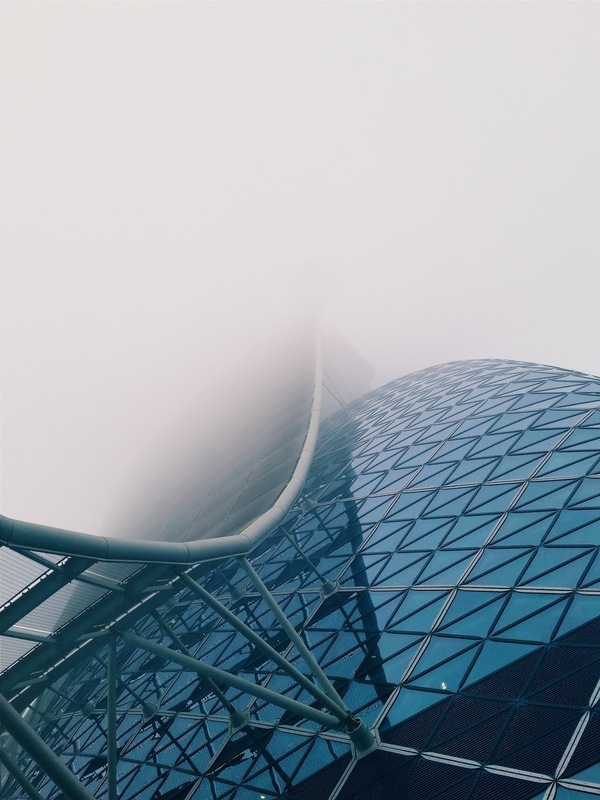 Abu Dhabi is home to great and intricate architecture and all the hotels are really beautiful. So it was actually quite hard for me to pick a favourite given so many choices. When I was young and had the time; because nowadays television has been decentralised to YouTube, I like watching documentaries from National Geographic and Discovery Channel and they did much coverage on everything that's man made there like the Palm Island, Burj Khalifah and even Burj Al Arab. 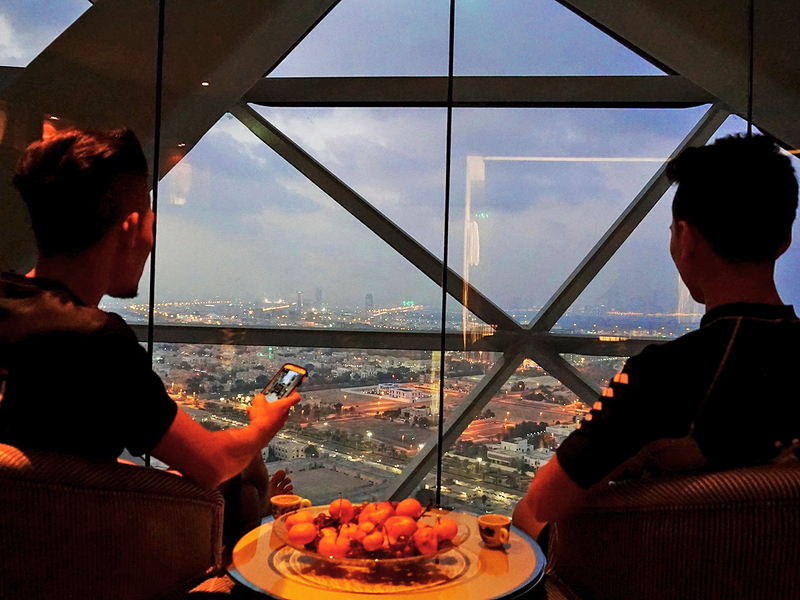 So it's a no wonder I chose Hyatt Capital Gate because of its world record. Besides, what could go wrong with Hyatt? 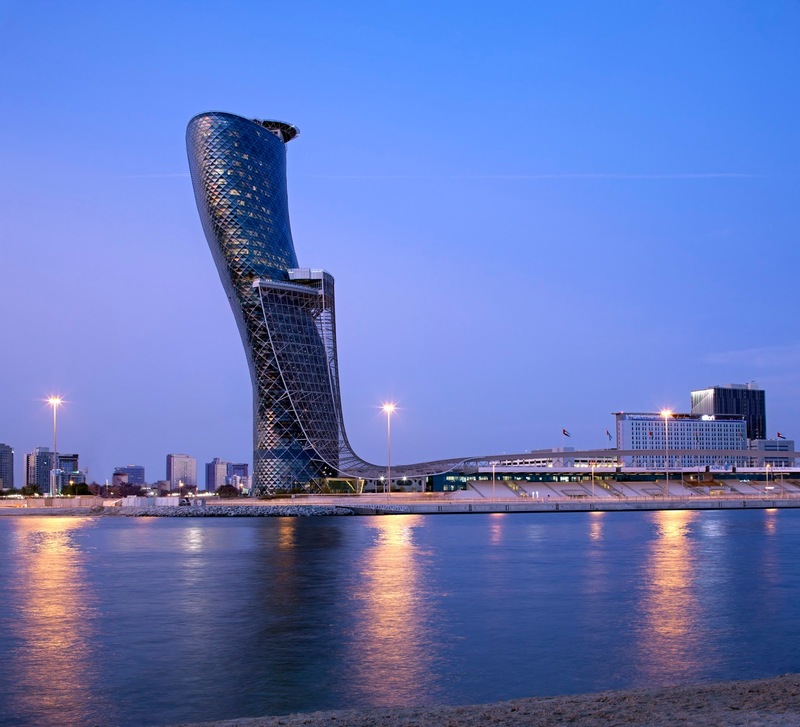 Hyatt Capital Gate is located at the city’s premium business address on the top floors of the iconic Capital Gate building. 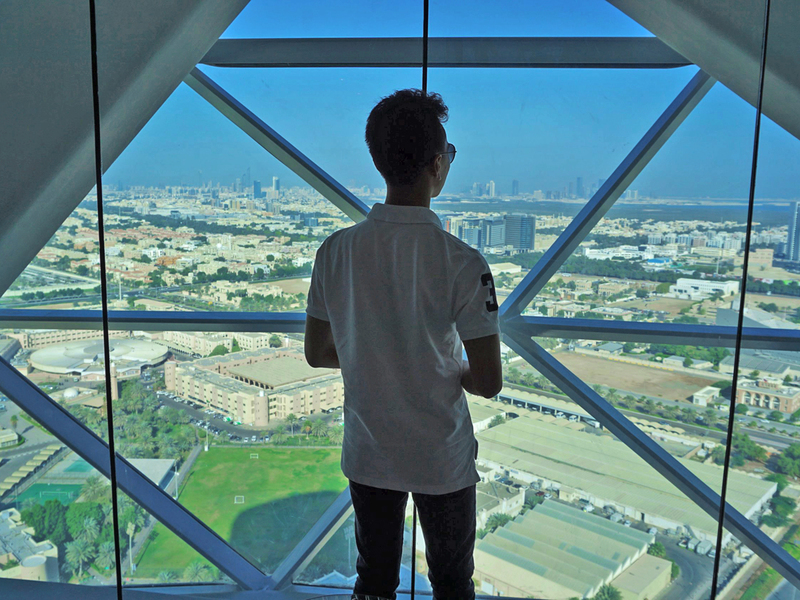 Capital Gate is a skyscraper strategically adjacent to the Abu Dhabi National Exhibition Centre (ADNEC). Standing at 35 storeys, it is one of the tallest buildings in the city with an inclination of 18 degrees to the west - which is to date the certified by Guinness World Records as the "world's furthest leaning man-made tower". 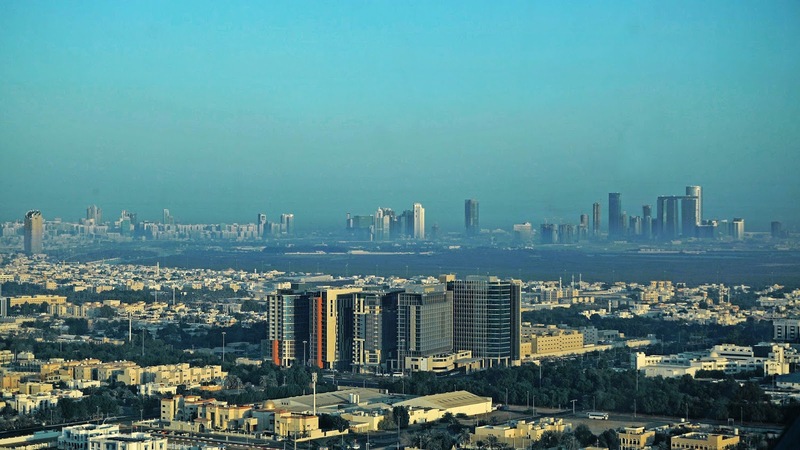 Also known as the Leaning Tower of Abu Dhabi, it is the focus of ADNEC's master development. The tower is four times leaner than the world-famous Leaning Tower of Pisa! Which is odd for me because in pictures Leaning Tower of Pisa looks very lean already. 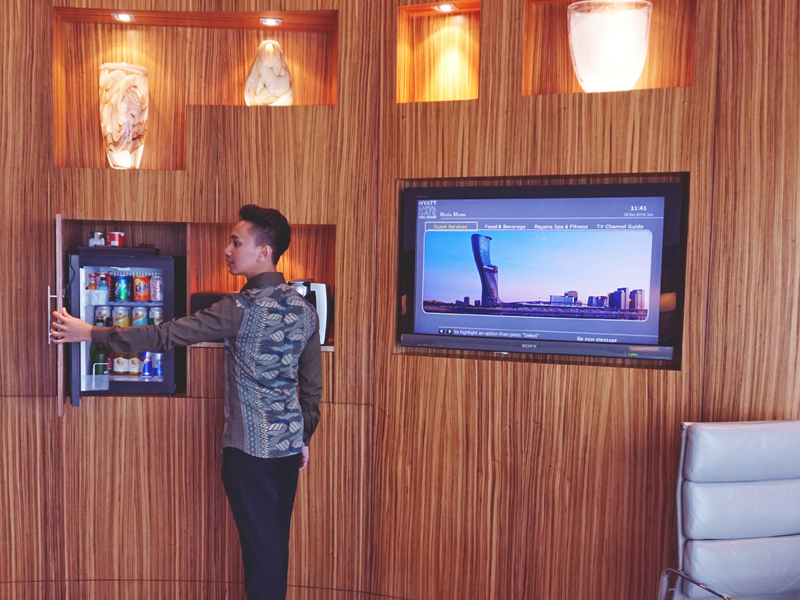 It was very fascinating for me to find out that the design was combined with elegant interior design and the concepts are created to create a uniquely refined guest experience - me! I was lucky because since it was winter, I managed to enjoy both hot and cold weather. I got to see how sparkly the building is reflecting light from the sun - I think people polish them each week to make it look shiny; and it looked so beautiful covered in fog! Even from my room I can't see a thing outside the full height window! 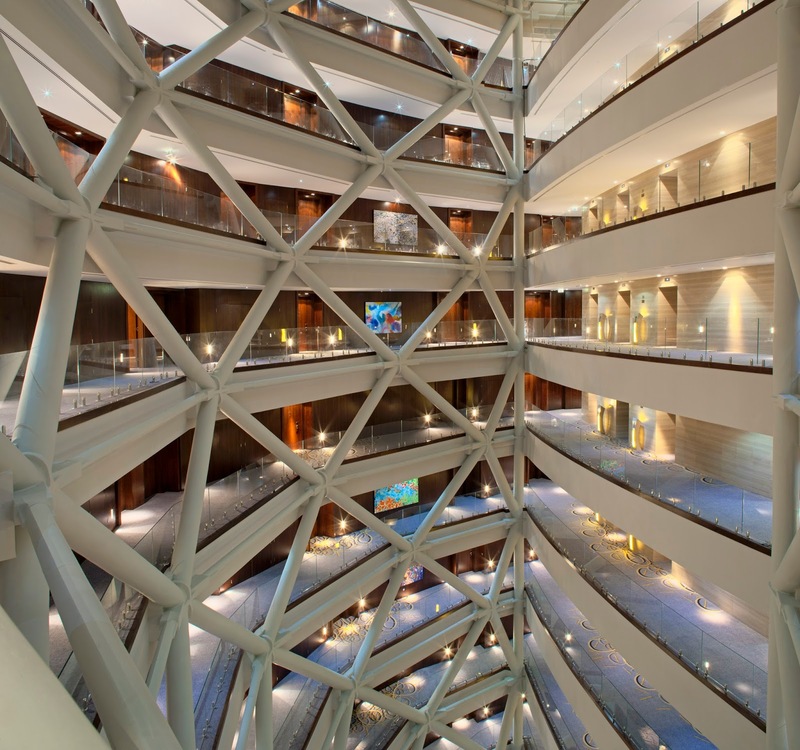 The inner atrium of the building provides view to the sky and draws in natural light into the core of the building - really going green and saving a few thousand bucks on lighting. Especially in the light of rising sea levels and erratic weather, we need to start saving the earth! I like it when buildings uses natural light during day time, it gives you a sense of time and what's going on outside. It may be labeled as a business centric hotel, but it was not all about getting to down to business I guess. When I made my booking and read up about this hotel, there was nothing mentioned about the art and being an enthusiast for beautiful and well done pieces, I can't help to notice the facility has quite an amount of fancy artistic fittings. 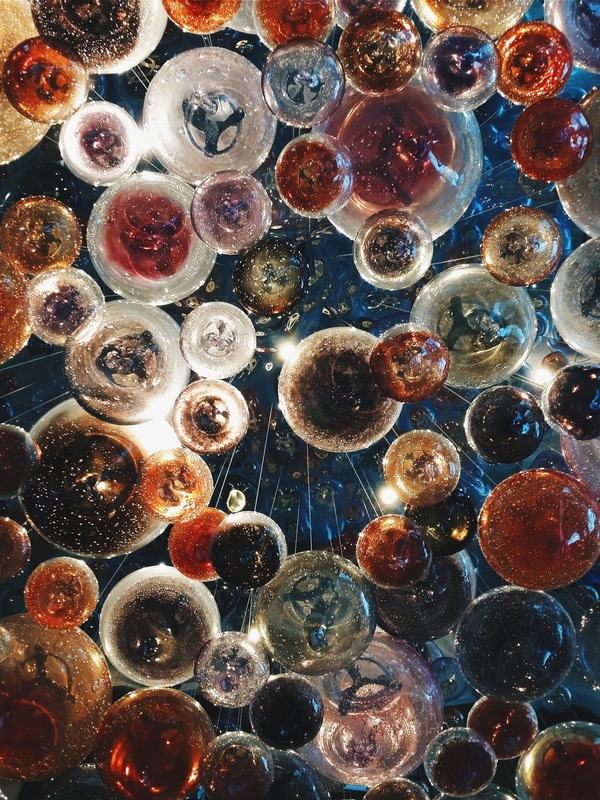 I find the lobby's glass blown chandelier really mesmerizing. Can't help but to snap a picture of this! 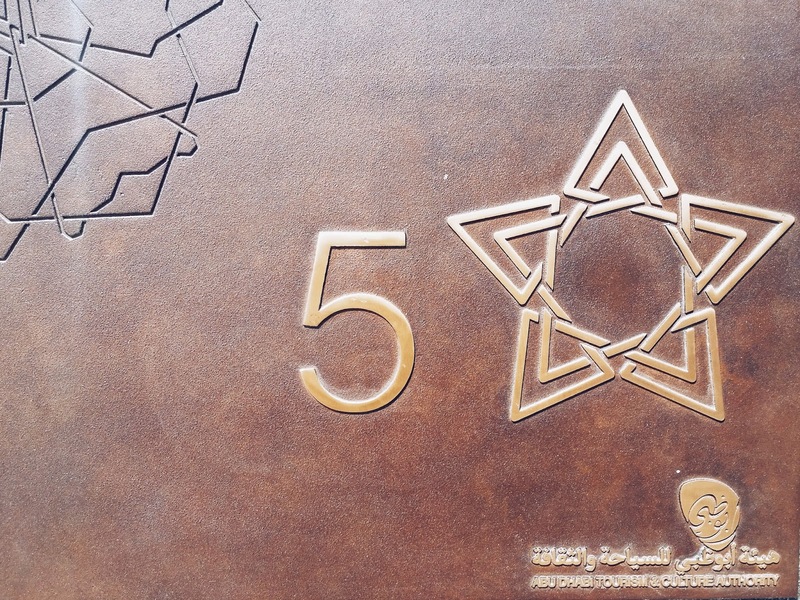 Designed by Lasvit which even designed for the hotel in Burj Khalifa, it looks a little like jelly fish, nebula, and many other things that you can imagine. I like that little detail you can find in the blown glasses. Epic! 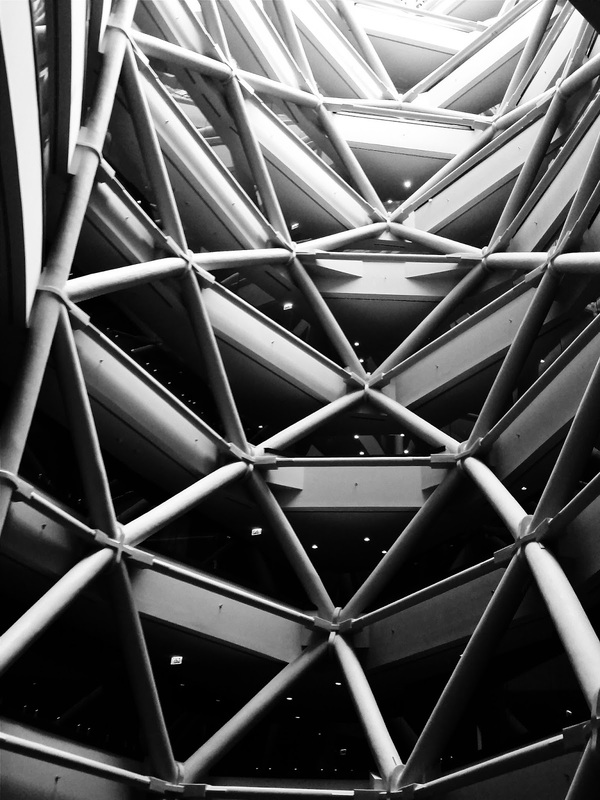 While every level is embellished in art, the atrium structure is an art not to be missed too! Stick your head out to see the huge skeleton of the building. Just remember not to trip over! 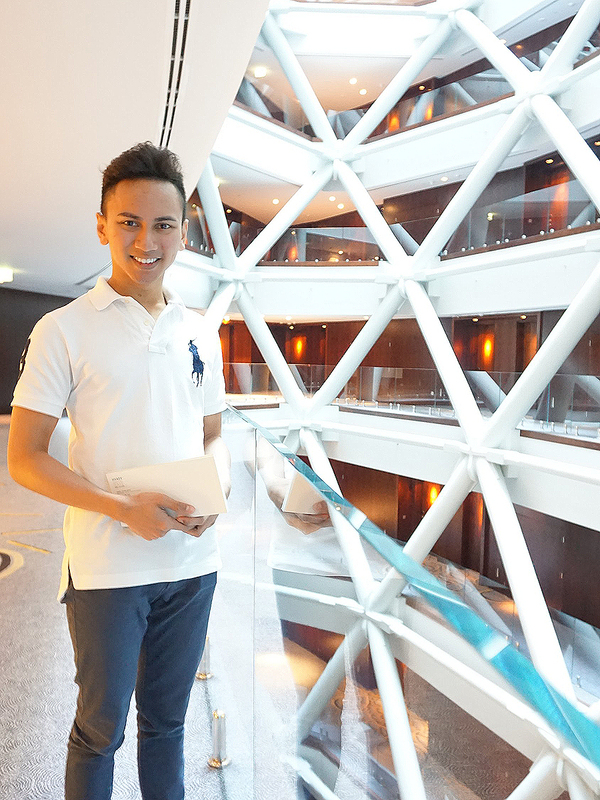 As comely as Capital Gate is, nothing beats its inner beauty ; the people. The service staff were so efficient. I love it! Amin and I can't initially plug in our iPod, they brought us a new set of speakers only this time can be connected to mobile conveniently as well! I can't be in a room without music, I'd probably die of boredom. You need your anthem when you're on holiday! The housekeeper even took the initiative to make up my room - twice. I knew because before heading for the next programme, I left some crease on the made up bed and found it was all straightened again when I got back into the room that evening. Beauty! 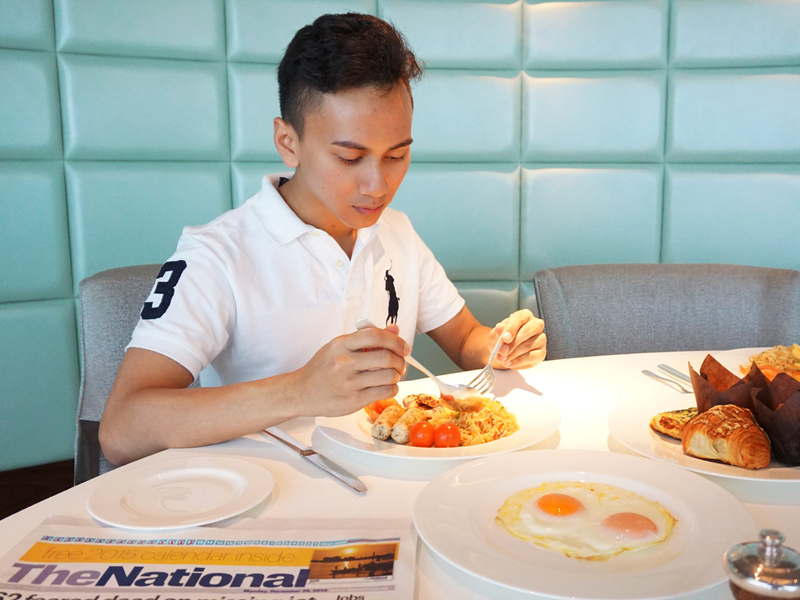 Our escapade from Dubai to Abu Dhabi was initially planned as a break from our tightly packed schedule so we thought we would relax there in Abu Dhabi for a bit, but we didn't. We went swimming, went to the mosque more than once and we got so tired from exploring the entire city (which wasn't even half since it's huge) we decided to dine in instead. 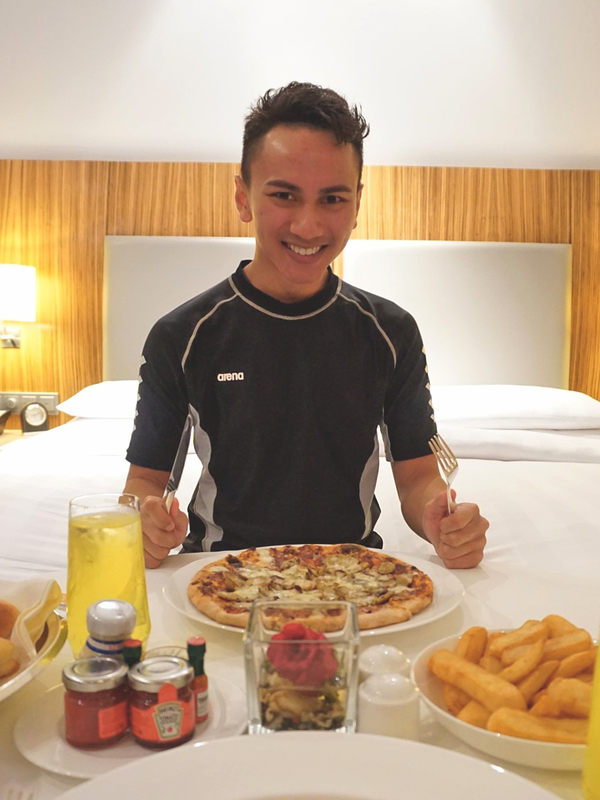 The room service was impeccable. The person who sent was an Indonesian so for a moment it felt a little bit like home getting to speak Bahasa only in a very foreign country. The food were delicious! Felt like it was made with lots of love! The portion was really filling, very grateful for that. Definitely slept well that night especially on that comfy bed! Breakfast was a little different. The thing I like about this hotel is that there are options. I wouldn't want to have be in a different dining environment and compromise on the view. If I am going to stay in a hotel for like, a week, I need the view to relax my eyesight, but my brain, and to get some inspiration too. 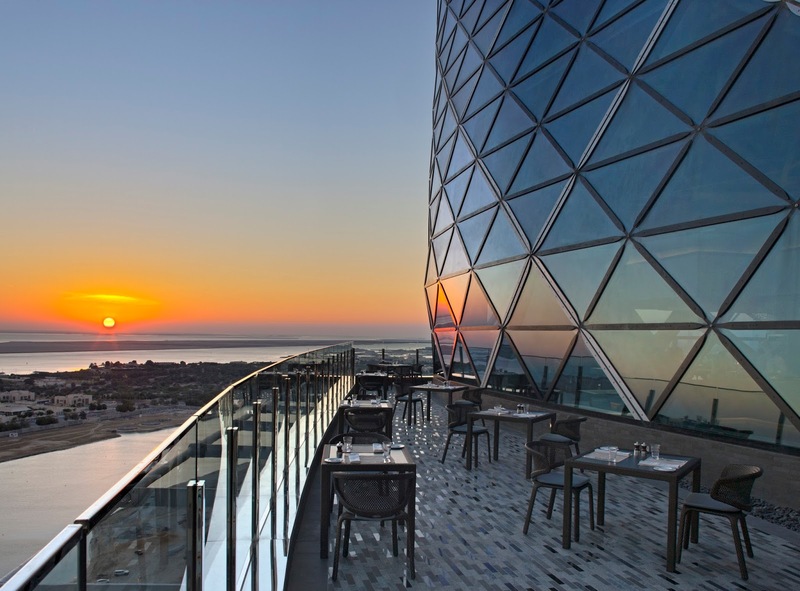 Hyatt Capital Gate's signature restaurant, 18 degrees, is an ideal location to experience the intriguing flavors of the Eastern Mediterranean while taking in eagle’s eye views of Abu Dhabi city and its coastline. Using locally sourced produce and simple, fresh flavors, the three show kitchens and interactive counters add to the theatrical mise en scene of the restaurant. 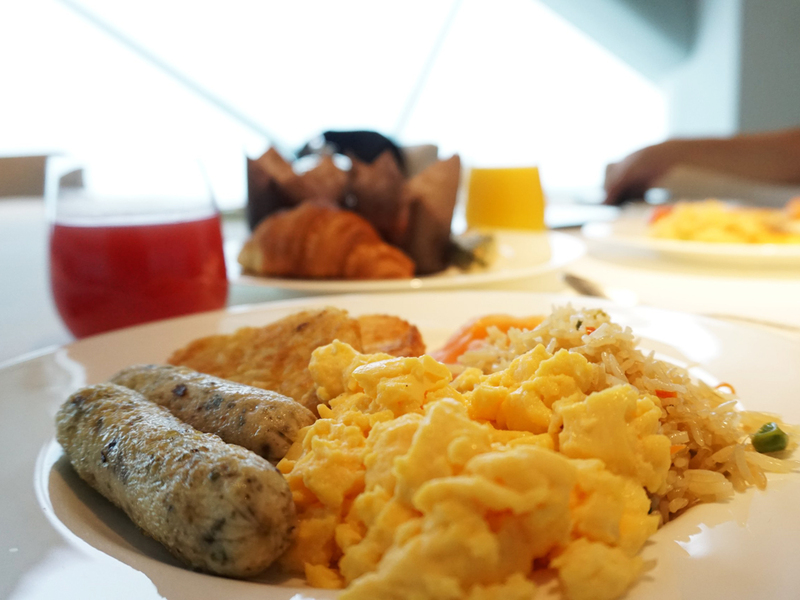 You can have private breakfast in their private dining room, uncompromising of the view and openness. 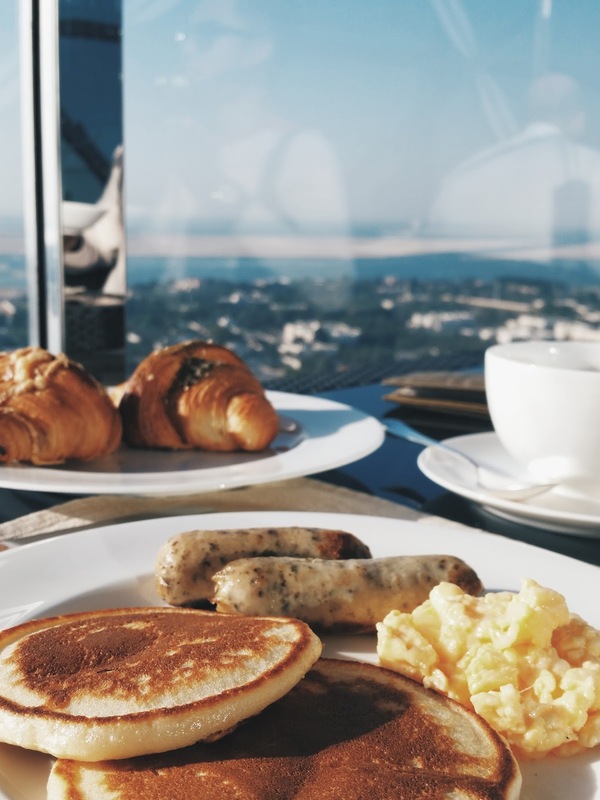 Since it was very foggy and cold at the terrace that morning, private dining is very suitable for those who prefer to have personal space in the morning reading newspaper and have their morning briefings over the table. It comes with a minimum spending though. Of course on a clear day, it's always good to get fresh air by eating at the open suspended terrace! Even from the terrace you get to see the magnificent view of beautiful castles, the horizon and enjoy the unpolluted breeze. 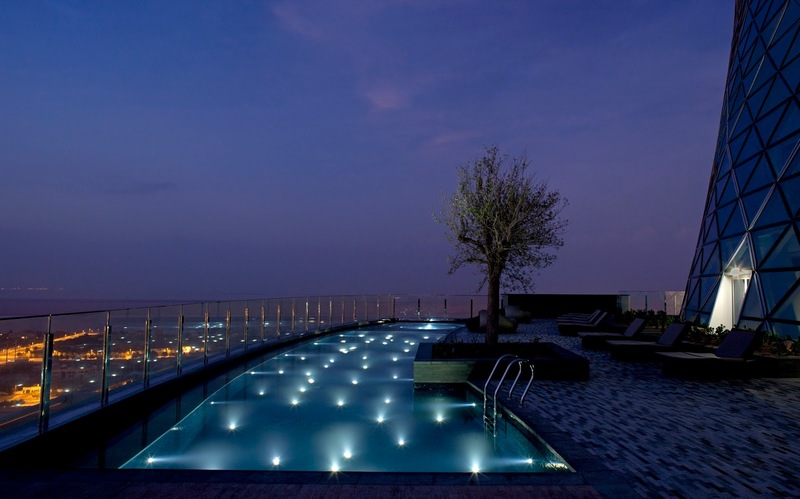 Rayana Spa, Abu Dhabi’s only sky spa, is perched on the 19th floor of the hotel and also features unsurpassed views of the city. 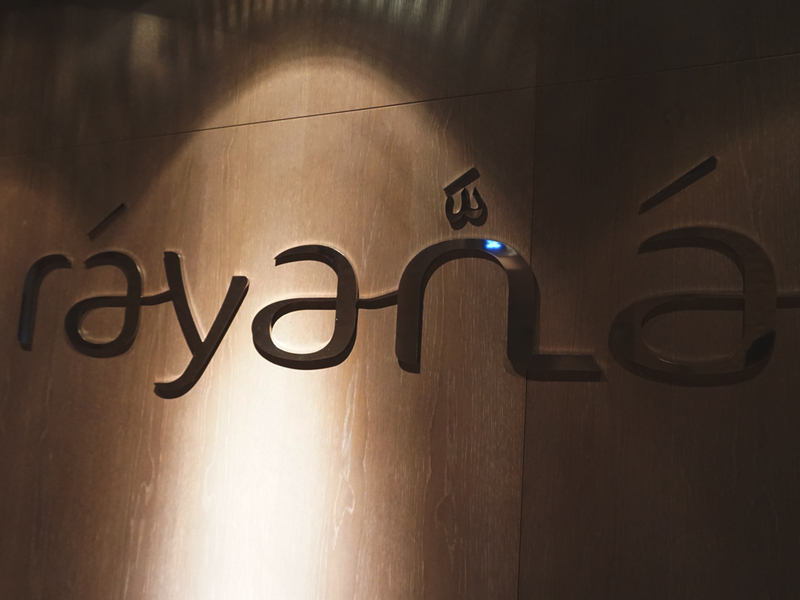 Rayana Rituals gave such holistic treatments to instil power, beauty and energy. 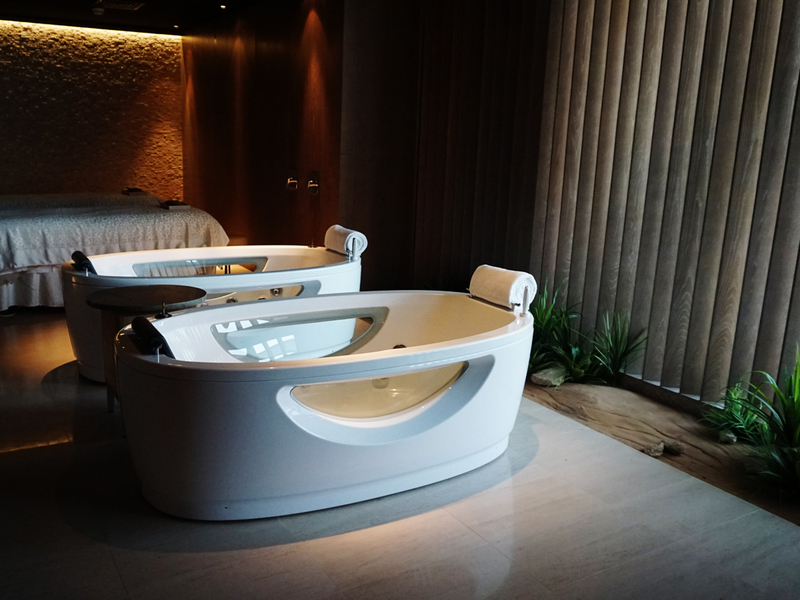 Rayana Spa also has an integrated gym equipped with modern cardio and resistance machines, a sun terrace, an outdoor cantilevered swimming pool and a whirlpool. And speaking of the pool, because it was so cold and the pool was so warm, I almost did not want to get out. I realized I was hungry, so can't help it but to cover myself with layers of towel to keep myself warm. 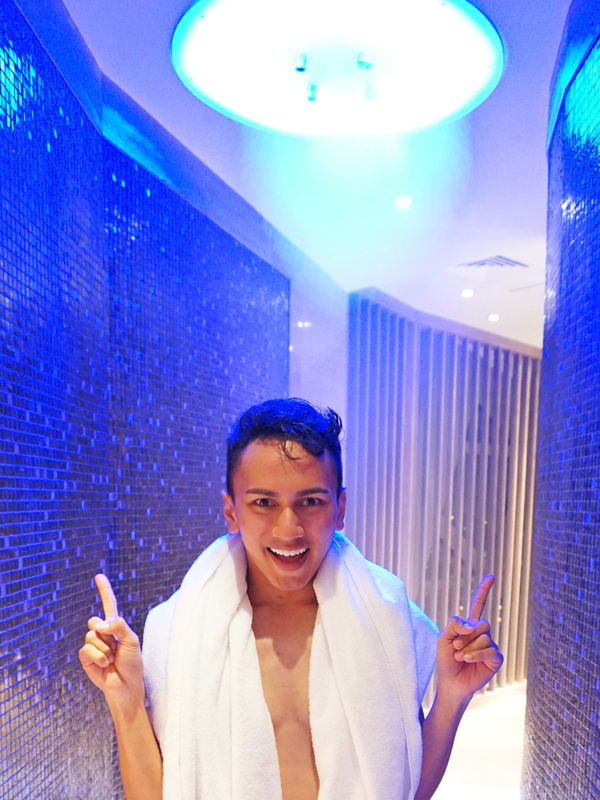 But first, let me go to the steam room! The spa is complete with steam room and sauna and even those multi setting shower head. There's a term for it but I don't know. There were like three types of setting that really helps to scrub your body as well. Really helpful for a spa facility! 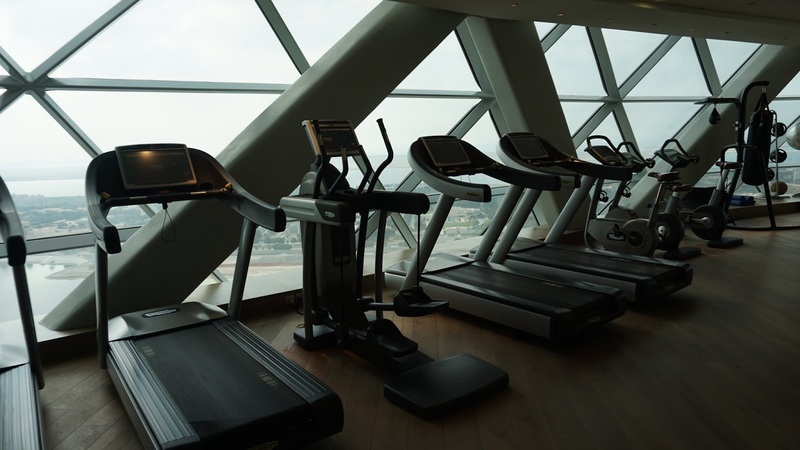 The gym is a must go because everything is state of the art and very, very well maintained. Imagine plugging in to your favourite soundtrack while running facing such landscape, I can be sure you will want to burn more calories! The room was marvellous! I love its minimalist chic design because it gives me little distraction from the wonderful view from my room. You get to see miles away across the island. On a clear day you can see more than 20 kilometers away. In the room I really felt as though I was floating in mid-air because I really can't see the ground below me since I was on the slanted side. The view I got was really unique because each room has has a different configuration so, if you really want to have the view that I had, you'd have to hope it's vacant! Also means that each time you come and be given a different room, it would be a different view. It's definitely welcoming especially as you enter the room, you're greeted by a vast unobstructed view. We enjoyed entire evening chatting and enjoying the much needed fiber! For those who are into quality finishing, the rooms are designed with a careful selection of muted earth tones and natural textures. Rough, natural stone is contrasted with smooth Cappuccino marble from Turkey, while olive Zebrano wood millwork from Africa is combined with grass effect panels in a soft color palette. Designed to be stylish, welcoming and a calm retreat in the city, each guestroom has an open plan with living, sleeping and bathing areas, which helps to make the room feel spacious and welcoming. It also has spacious work areas, rainforest shower and separate oval bath tubs will pamper you big time! 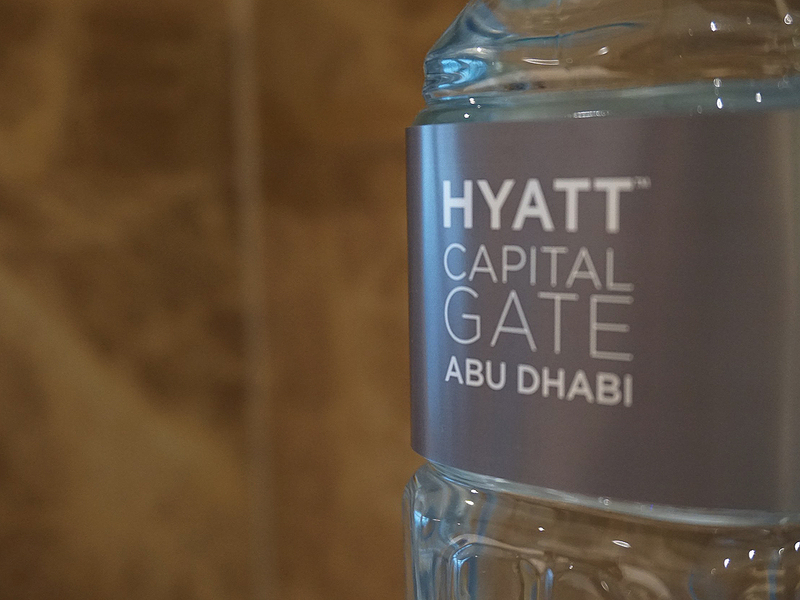 Pretty much sums up everything I enjoyed about Hyatt Capital Gate! Definitely look forward to patronize it again if I have the opportunity! 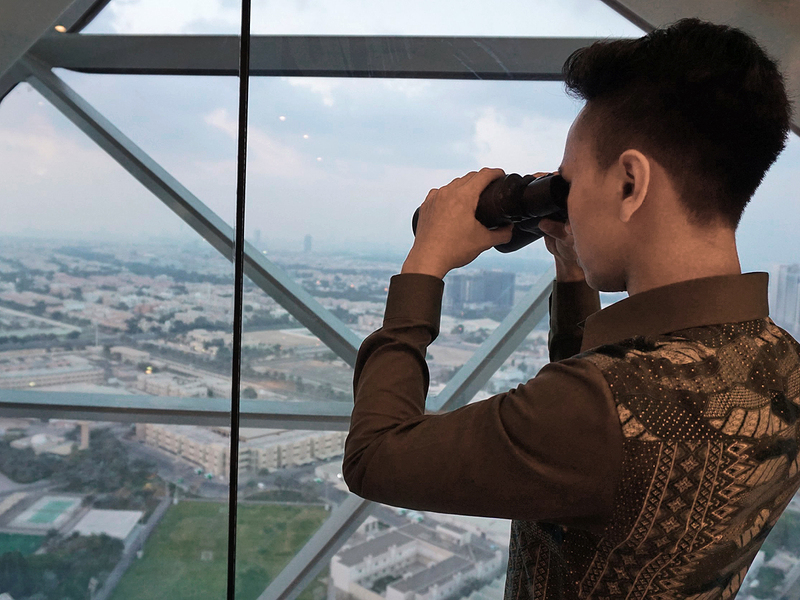 Click here to make your bookings with Hyatt Capital Gate!